Vice Presidents support makes a great contribution to the running of Swanage & Wareham RFC. 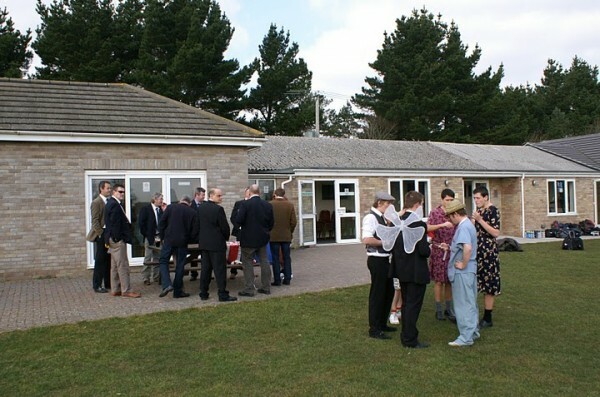 Whether you have just retired from playing, or a Rugby enthusiast that is looking for a local club to support and to meet like minded people, becoming a Vice President of Swanage & Wareham RFC will be for you and is open to everyone. The Vice Presidents Membership package includes the opportunity to come and savour the atmosphere and an invitation to attend a pre-match lunch. As a Vice President you also become a shareholder in the Club with the right to vote a AGM's. Vice Presidents subscriptions costs £40(minimum donation) for a single subscription. A Vice President is predominantly an elite social membership, Swans have one of the best social sections around, so can guarantee good times a plenty! Look out for details of all upcoming Vice President Pre-Match Lunches! A VP's application form can be printed by using the link below. If you have any questions please contact Rob Parry on telephone no. 01929 553357, mobile 07973 400297, otherwise simply complete and send on the form to the address as shown.